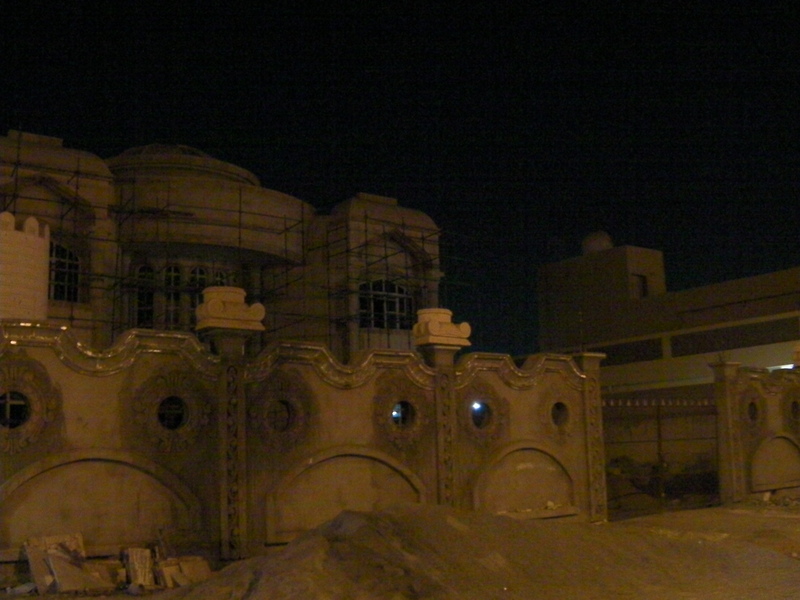 Fujairah streets are under major construction and have been for most of the year. It is much needed, but makes it even more interesting to navigate the town than it was. 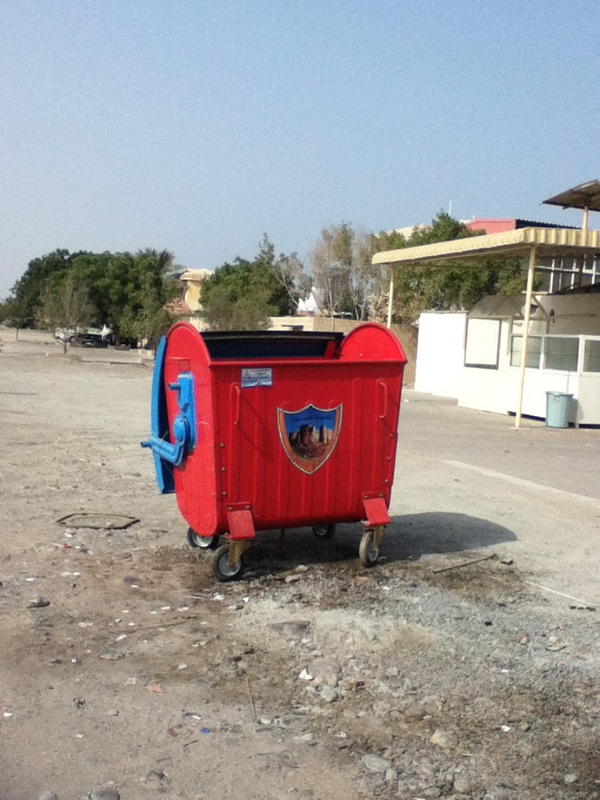 Fujairah is not laid out in a system of rectangular streets and intersections. It is a web of diagonal streets and roundabouts. So, even when things are normal and not under construction one has to zig zag across town. We came across this last night while negotiating a rather challenging detour. 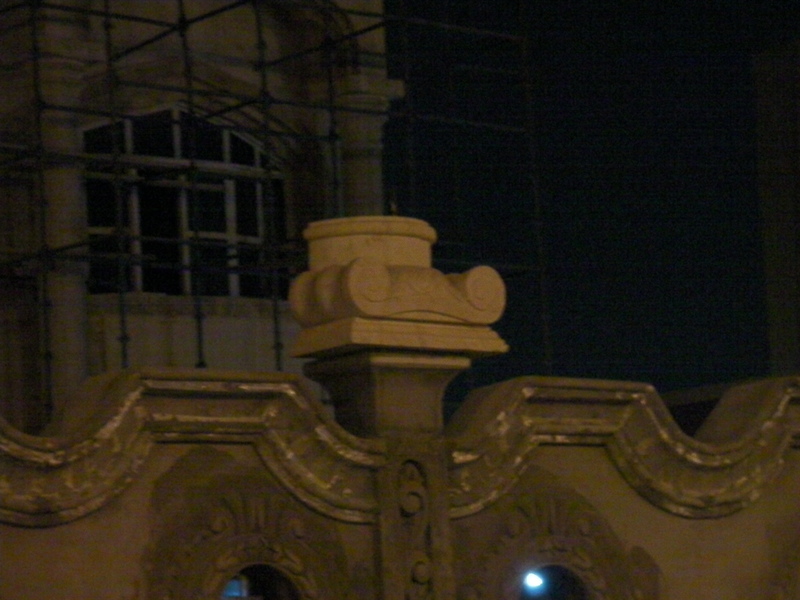 The construction of this villa looks standard except for the upside down ionic capitals that have been tacked onto the fence. I’m curious to see what more this will involve. 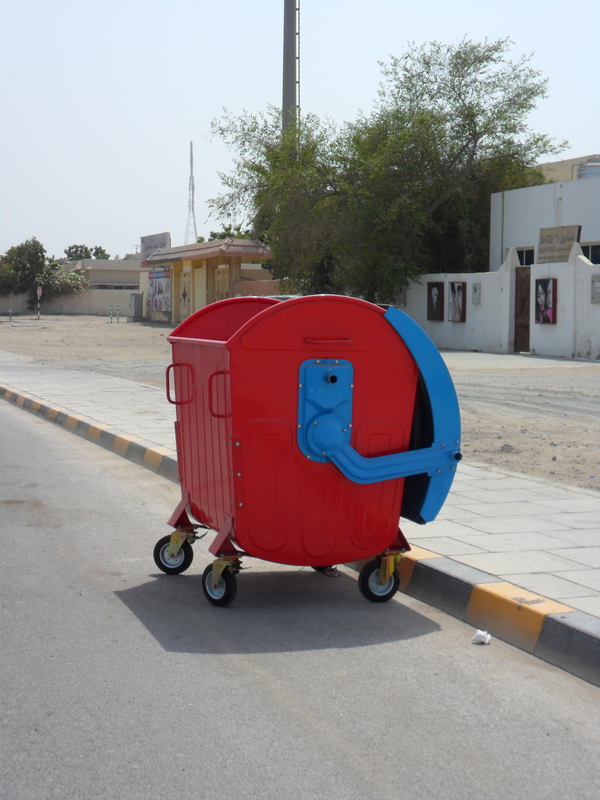 Fujairah is getting new dumpsters. This is an example of why. Poor old thing has had a rough life. They are quite attractive. They also come in green and yellow/orange. So, I may have mentioned the lack of infrastructure before, as in the heavy traffic on arterials is due to a lack of alternative routes on side streets and the randomness of buildings – both in size and placement. There’s also the lack of systematized addressing and residential postal delivery. I have learned that there is another major piece of the infrastructure puzzle missing — sewer system. Actually, that’s unfair, they have a sewer system, a significant portion of it does not involve piping leading to the sewage plant. Sewage goes into storage tanks and is then pumped into trucks and trucked to the sewage treatment plant. Apparently, 3000 of these trucks are trying to keep up with the daily demand, so to speak. One would think that the inefficiency of this system in the long run would have occurred to someone before the population reached 1.5 million. 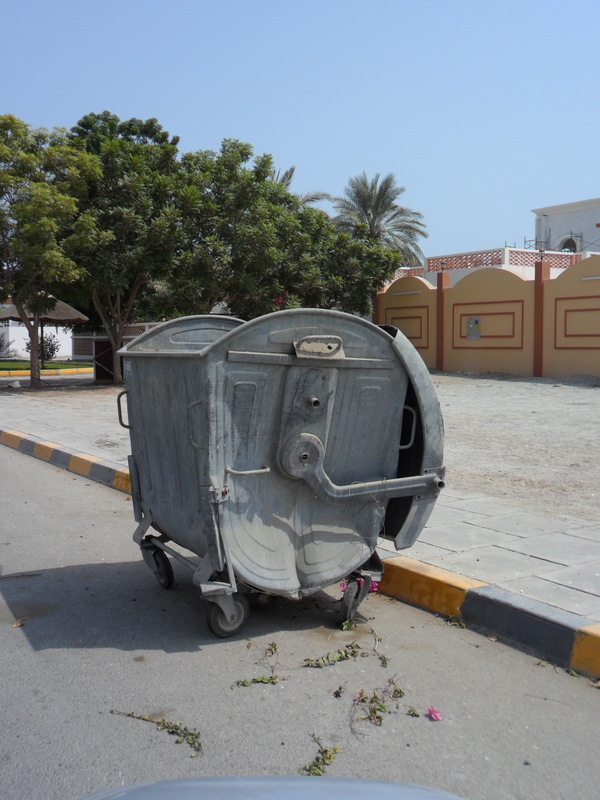 So, the moral of this story is: If you are apartment/villa shopping in Dubai, add “how close is it to the sewage plant?” to your list of questions to ask. Just imagine — sewage plant + sewage trucks + 110F = reek!